Harare (GPA) — With a new Zimbabwean president via coup d’état, the mainstream media speculates that the coup was sponsored by China. Meanwhile, the nation’s new leadership has already received financial backing from Beijing and is seeking investments from western powers. A week later, on Nov. 14th 2017, portions of the Zimbabwe Defence Forces (ZDF) assembled around Harare, the capital, and overtook the Zimbabwe Broadcasting Corporation as well as key locations throughout the city. The ZDF denied having executed a coup d’état and claimed, to be attempting the ouster of “criminals” around president Robert Mugabe that are responsible for Zimbabwe’s socio-economic problems. Five days later the ZANU-PF removed Mugabe as party leader and put Mnangagwa in his place. On 21st of Nov. Mugabe resigned as president while parliament was beginning impeachment proceedings. After street demonstrations and wide public support for the coup, Mugabe proclaimed, “My decision to resign is voluntary on my part and arises from my concern for the welfare of the people of Zimbabwe and my desire for a smooth, non-violent transfer of power,” Mr. Mugabe wrote. Mnangagwa was sworn in as President on November 24th, 2017. Mere days before the coup, Gen. Constantino Chiwenga had returned home from China. A coincidence that has lead mainstream media to speculate whether China played a role in Zimbabwe’s recent governmental change. Relations between the two nations go all way back to the Rhodesian Bush War. China is Zimbabwe’s largest source of investment, in everything from construction to agriculture. Beijing bulwarks their economy as the largest market for Zimbabwean exports. Yet it appears China sees Zimbabwe as too much of an economic liability and isn’t interested in handing out loans until the economy stabilizes. Mugabe’s ever-tightening grip on power and his poor leadership created a culture of instability and unpredictability. With such interwoven histories and economies, alongside unpaid debts, China may have reached their breaking point with him. Mnangagwa, who has allegedly played a hand in a genocide against his own people thirty years ago, now promises “peaceful” elections later this year. Though he’ll have stiff competition, as a whopping 75 parties, are preparing to make a run for the presidency. Despite supporting the ousting of Mugabe, Mnangagwa is still seen by many as the ex-president’s portégé. The new president has recently been in South Africa, in hopes revitalizing the Zimbabwean economy through attracting investments from abroad. Since assuming the presidency Mnangagwa and the Zanu-PF have committed to expanding the nation’s’ economy and creating jobs. Beijing recently congratulated his ascent and extended a loan to build the new parliament and renovate Robert Mugabe International Airport. 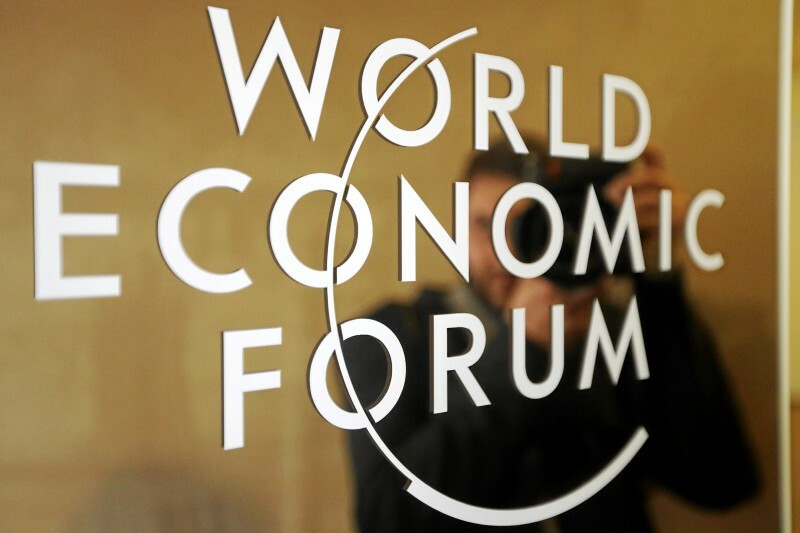 Mnangagwa’s also been spotted in Davos at this year’s World Economic Forum, where it seems he’s been courting neoliberal elites by announcing that “Zimbabwe is open for business.” Yet while trying desperately to impress in Davos, Mnangagwa wrongfully gave the impression that Zimbabweans living in the Diaspora will be eligible to vote in the upcoming election. Despite needing to be in Zimbabwe to register for the vote. Mnangagwa is also planning for Zimbabwe to rejoin the commonwealth after it’s 2002 suspension, and eventual withdrawal in 2003. Originally published, February 2, 2018 at Geopolitics Alert. Previous Post Why Did Sudan Close Their Border with Eritrea? Next Post What’s Behind the Eritrea-Ethiopia Thawing Relations?